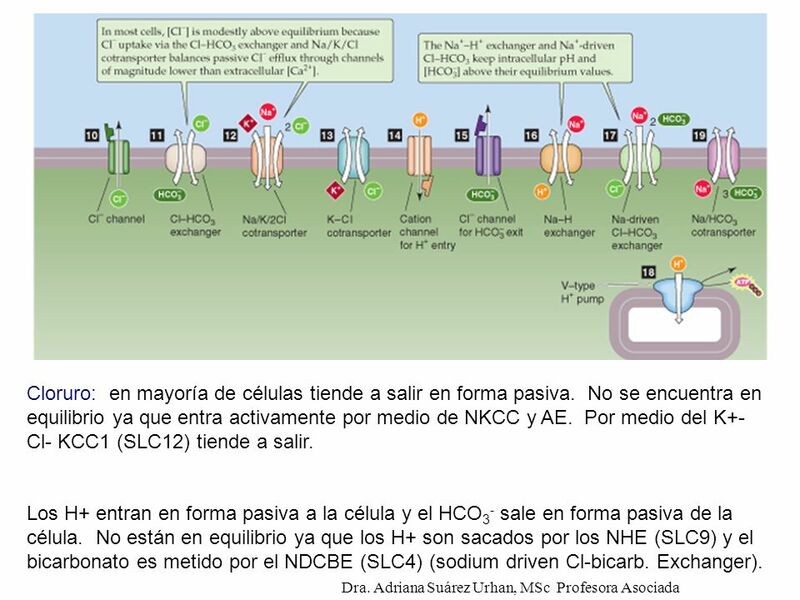 Table 5-4. 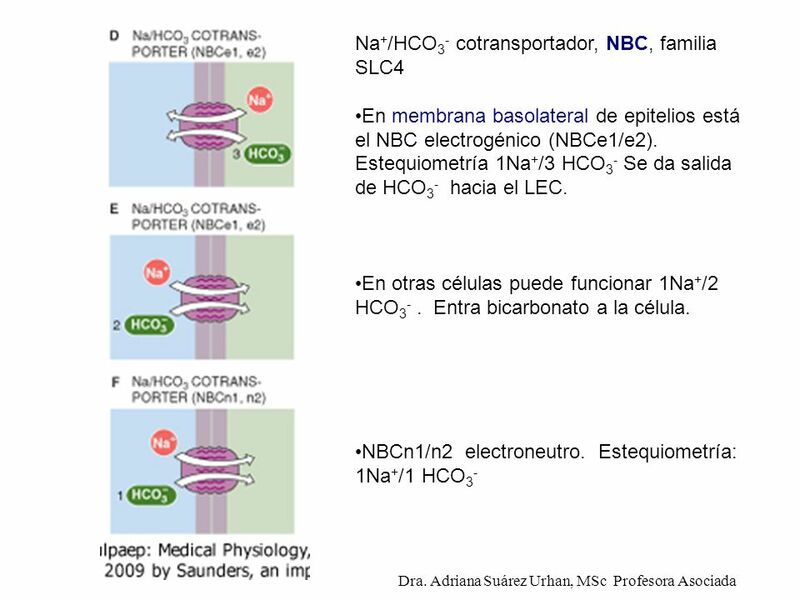 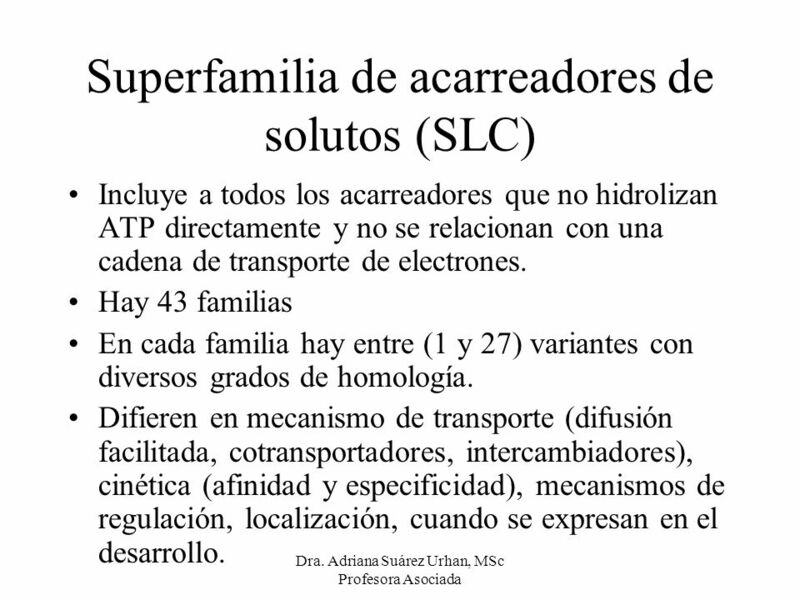 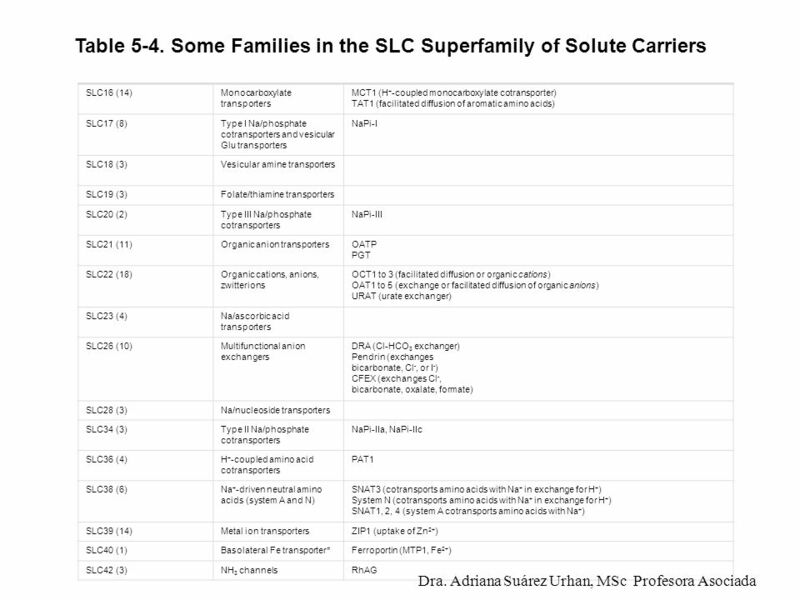 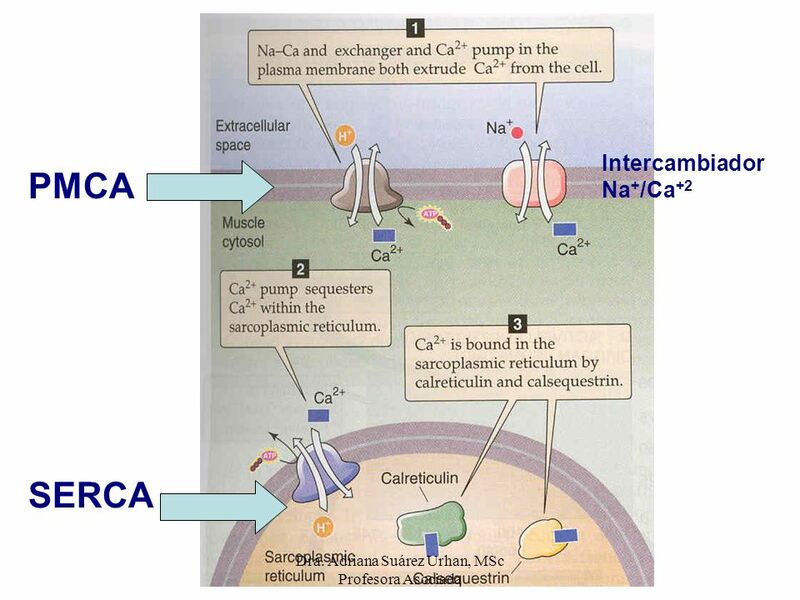 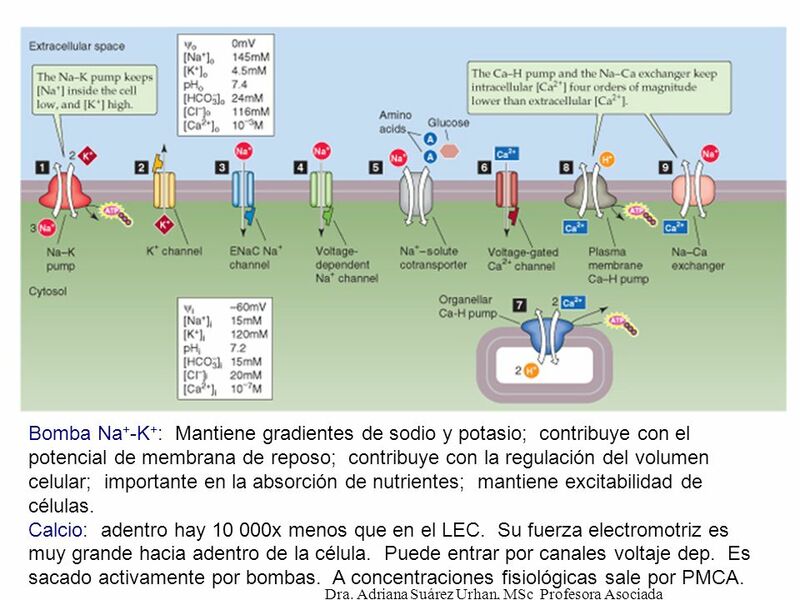 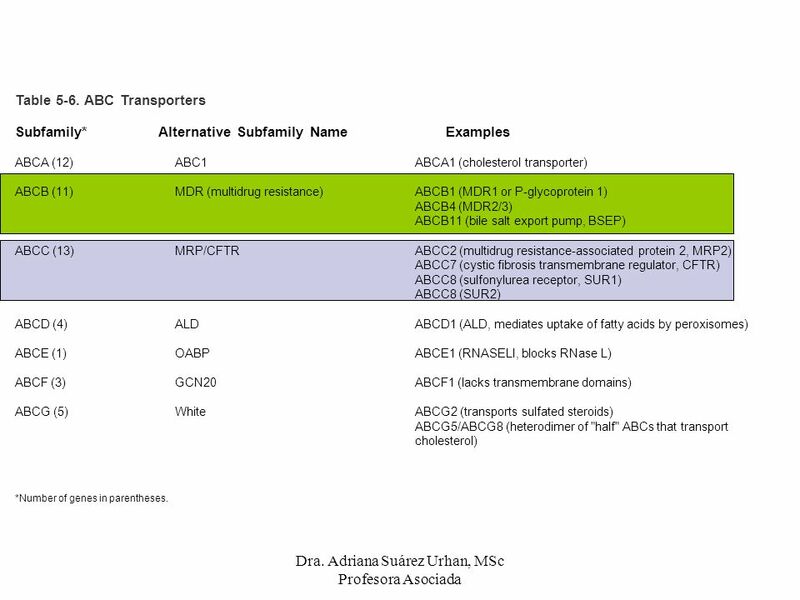 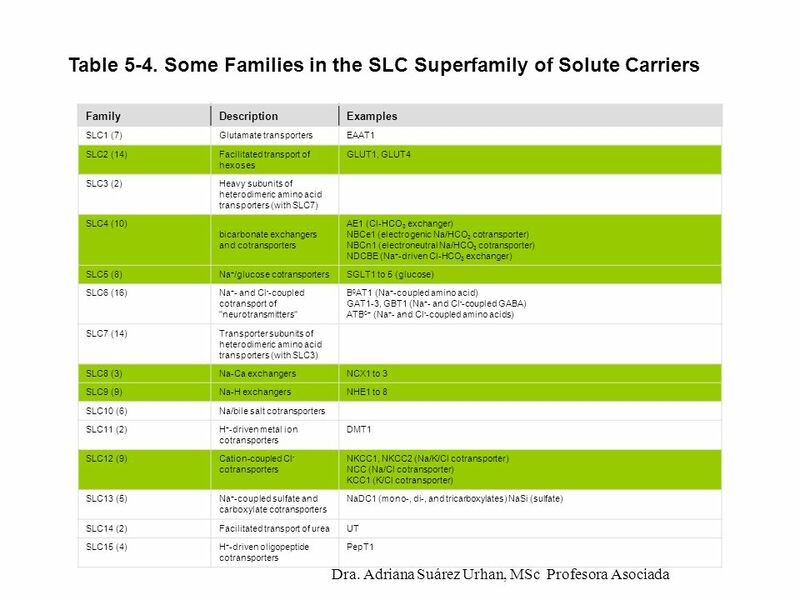 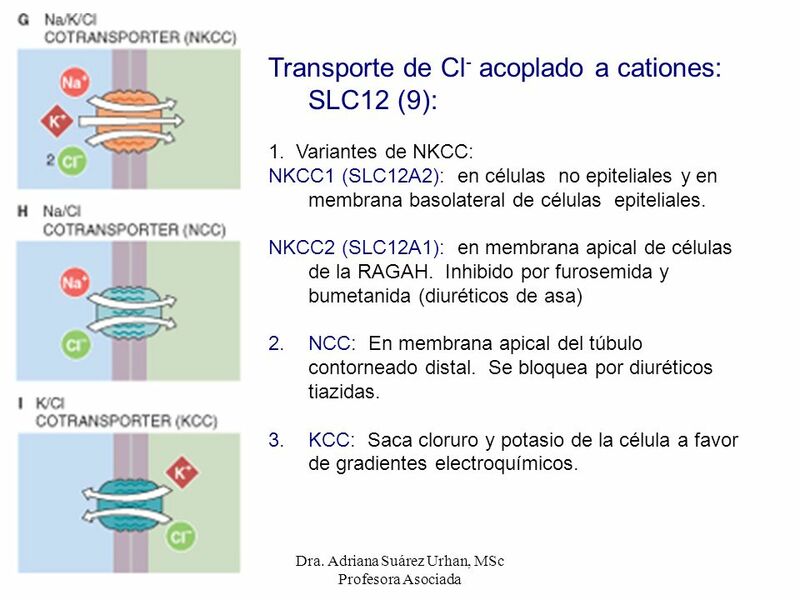 Some Families in the SLC Superfamily of Solute Carriers SLC16 (14) Monocarboxylate transporters MCT1 (H+-coupled monocarboxylate cotransporter) TAT1 (facilitated diffusion of aromatic amino acids) SLC17 (8) Type I Na/phosphate cotransporters and vesicular Glu transporters NaPi-I SLC18 (3) Vesicular amine transporters SLC19 (3) Folate/thiamine transporters SLC20 (2) Type III Na/phosphate cotransporters NaPi-III SLC21 (11) Organic anion transporters OATP PGT SLC22 (18) Organic cations, anions, zwitterions OCT1 to 3 (facilitated diffusion or organic cations) OAT1 to 5 (exchange or facilitated diffusion of organic anions) URAT (urate exchanger) SLC23 (4) Na/ascorbic acid transporters SLC26 (10) Multifunctional anion exchangers DRA (Cl-HCO3 exchanger) Pendrin (exchanges bicarbonate, Cl-, or I-) CFEX (exchanges Cl-, bicarbonate, oxalate, formate) SLC28 (3) Na/nucleoside transporters SLC34 (3) Type II Na/phosphate cotransporters NaPi-IIa, NaPi-IIc SLC36 (4) H+-coupled amino acid cotransporters PAT1 SLC38 (6) Na+-driven neutral amino acids (system A and N) SNAT3 (cotransports amino acids with Na+ in exchange for H+) System N (cotransports amino acids with Na+ in exchange for H+) SNAT1, 2, 4 (system A cotransports amino acids with Na+) SLC39 (14) Metal ion transporters ZIP1 (uptake of Zn2+) SLC40 (1) Basolateral Fe transporter* Ferroportin (MTP1, Fe2+) SLC42 (3) NH3 channels RhAG Dra. 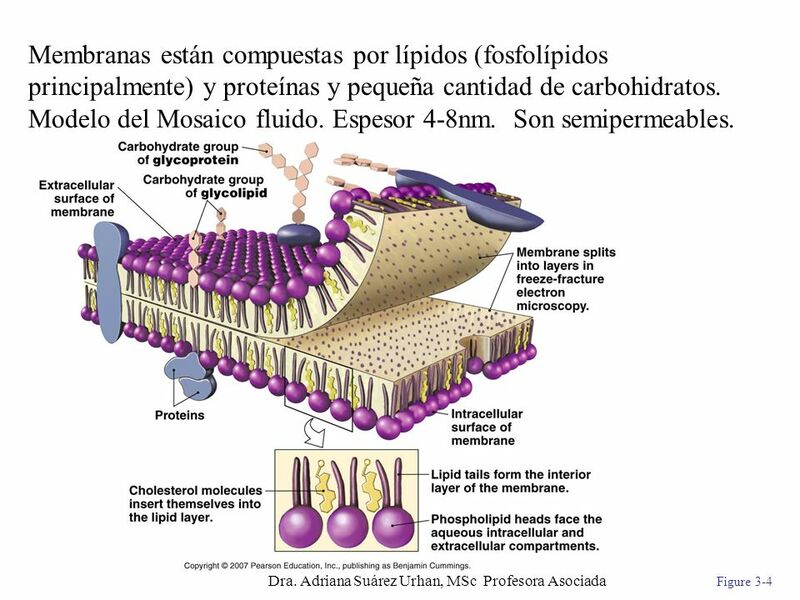 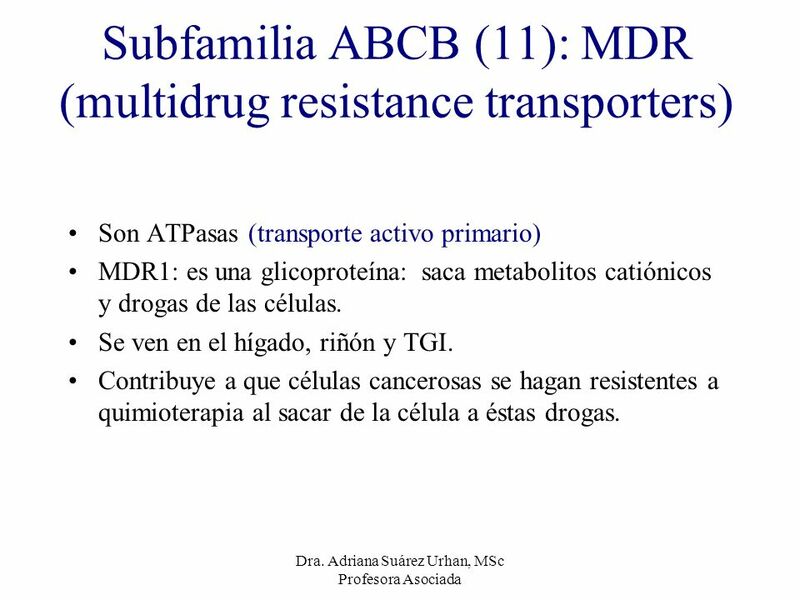 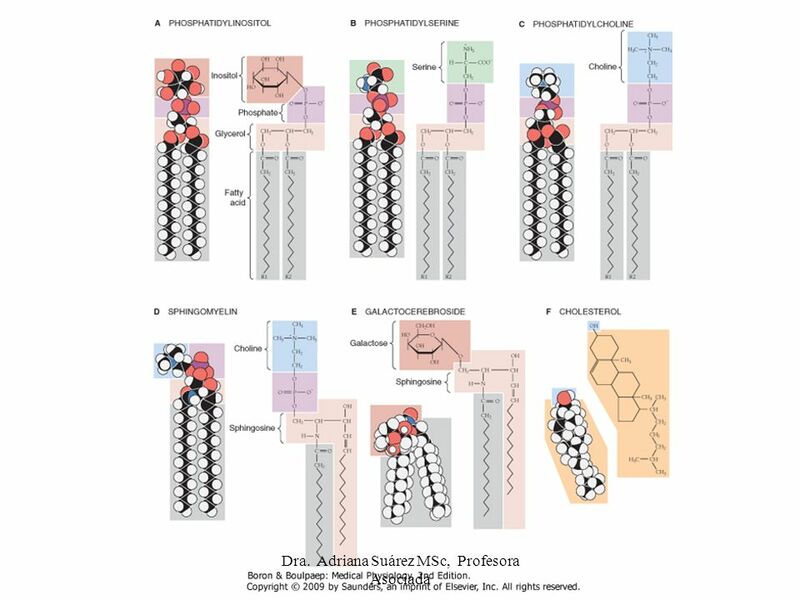 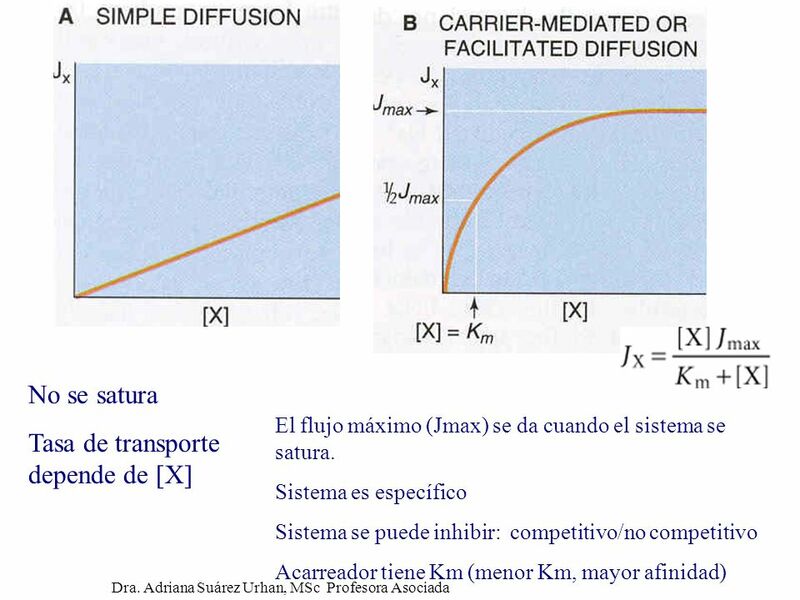 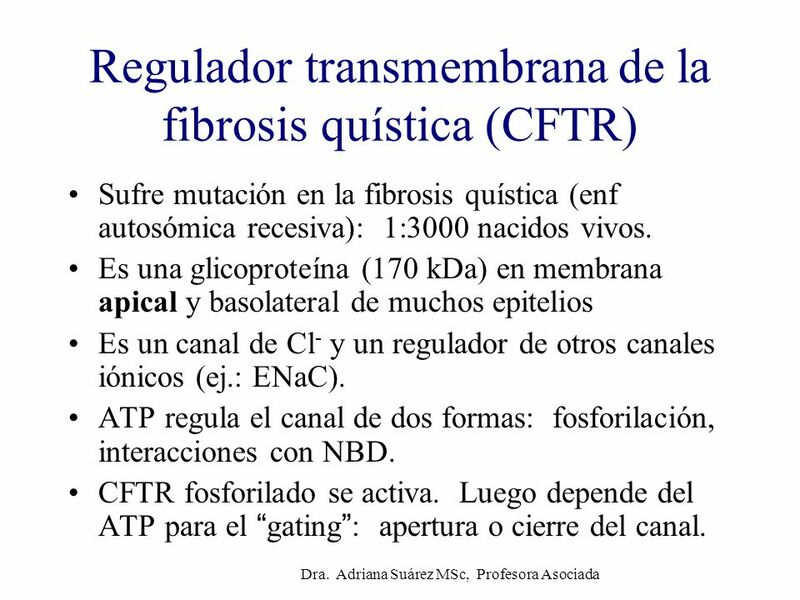 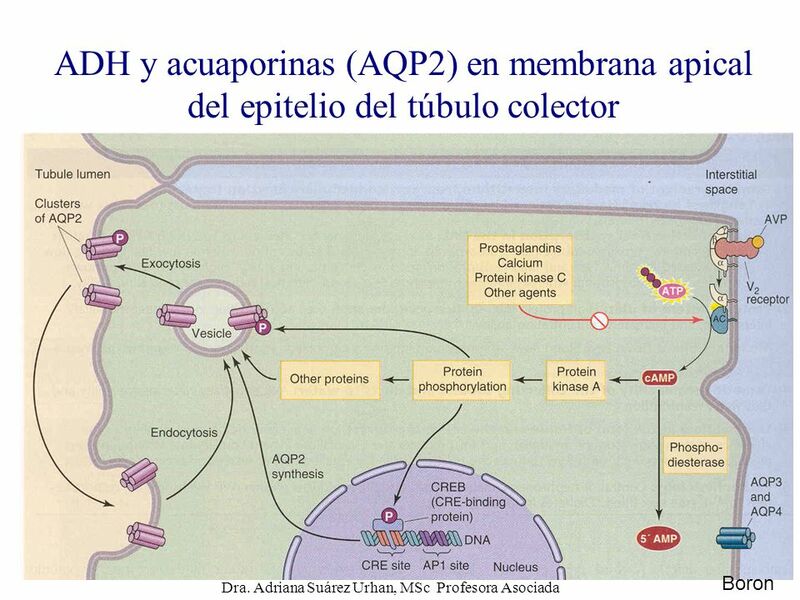 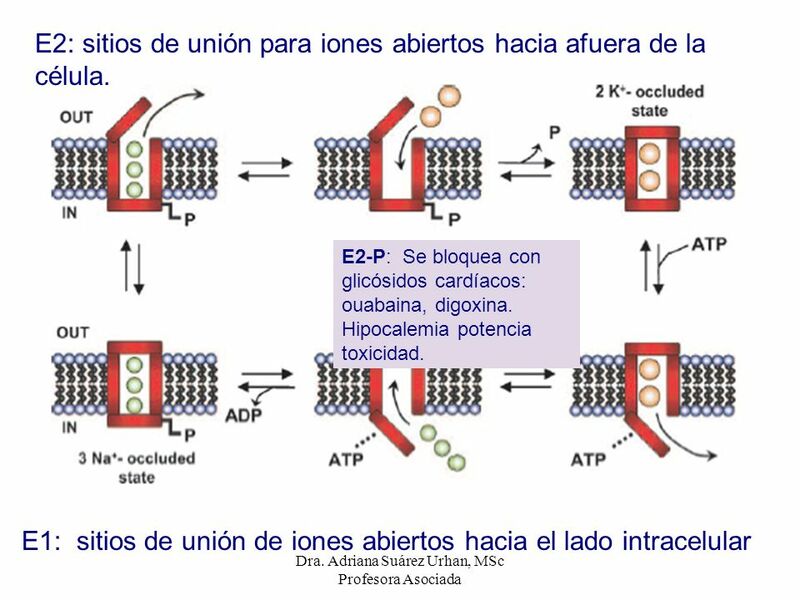 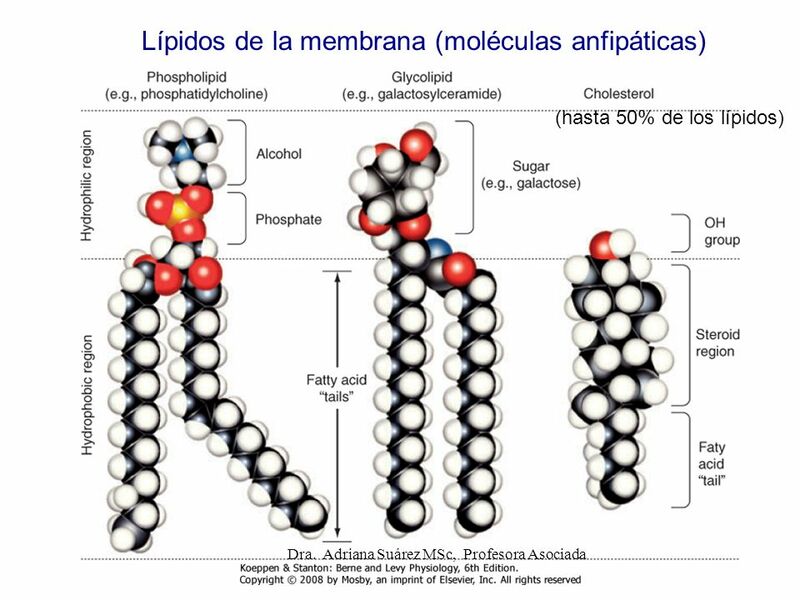 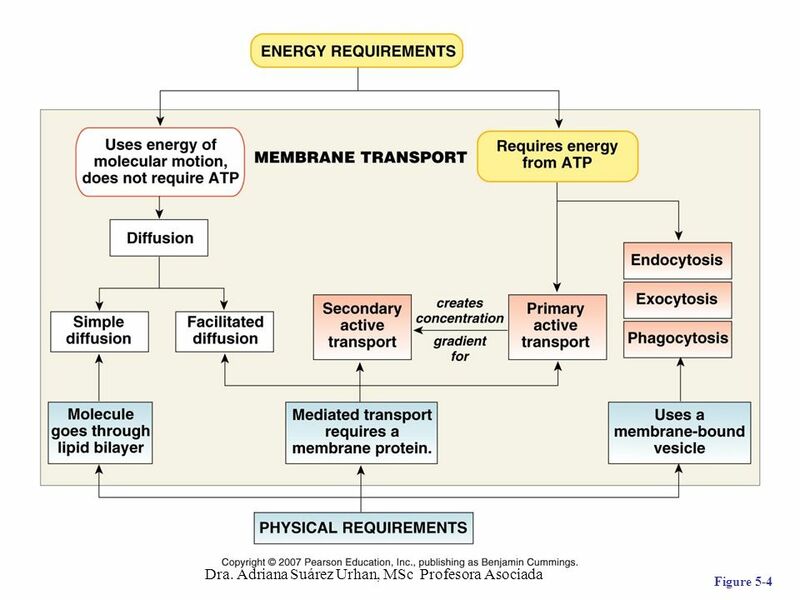 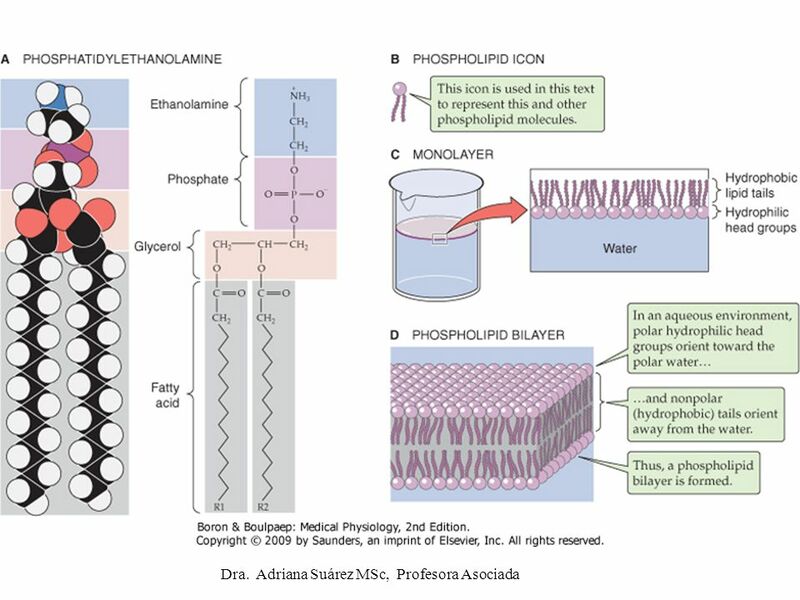 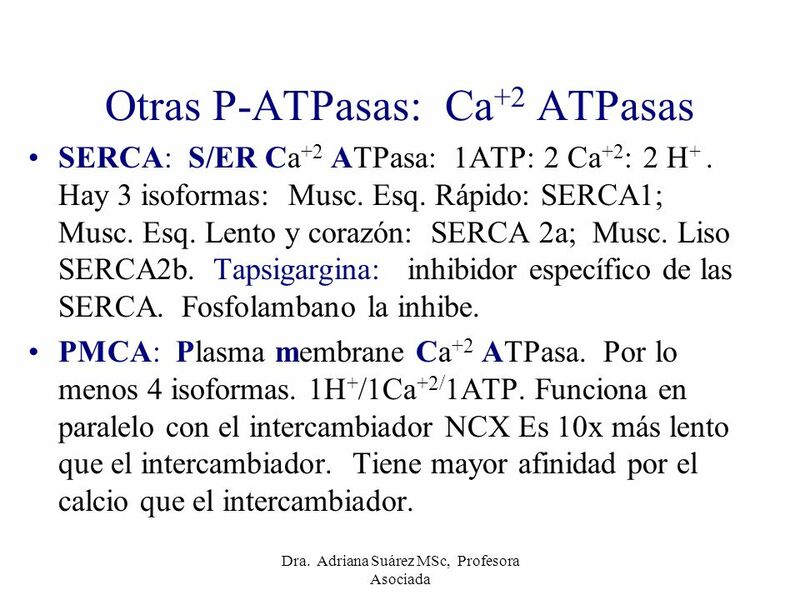 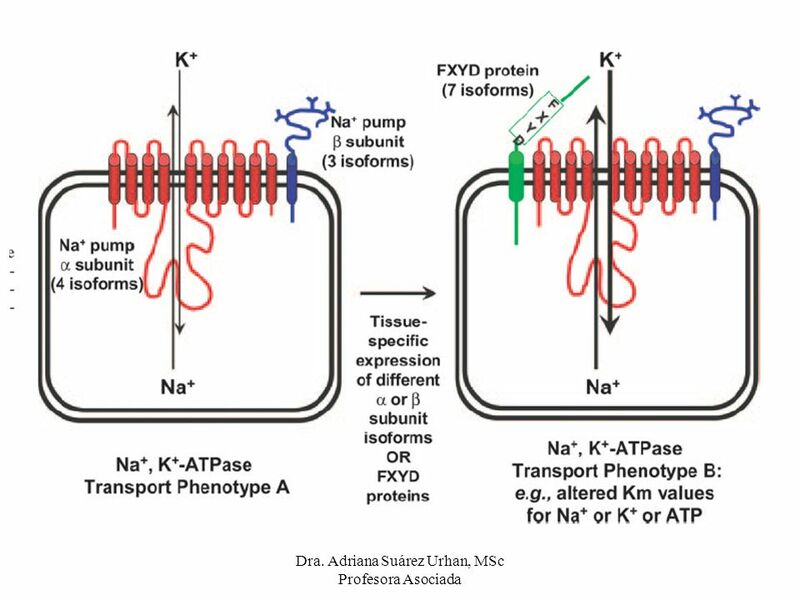 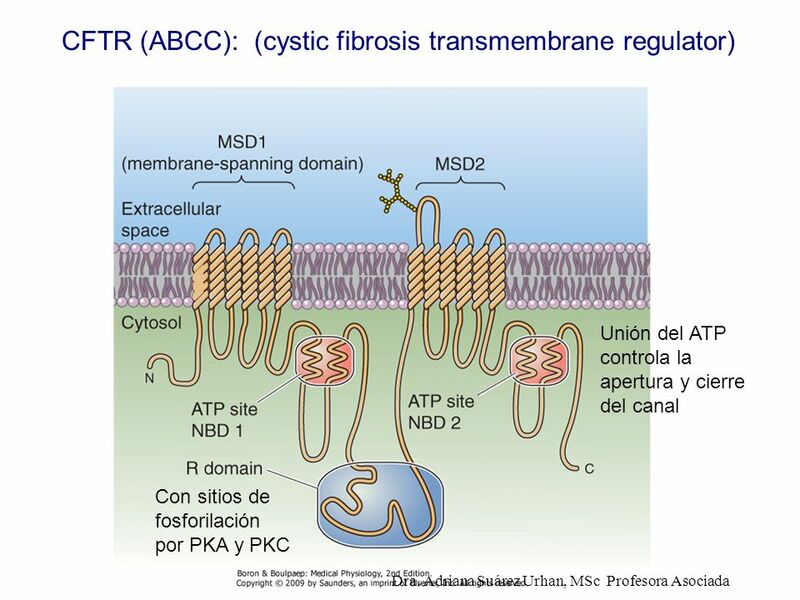 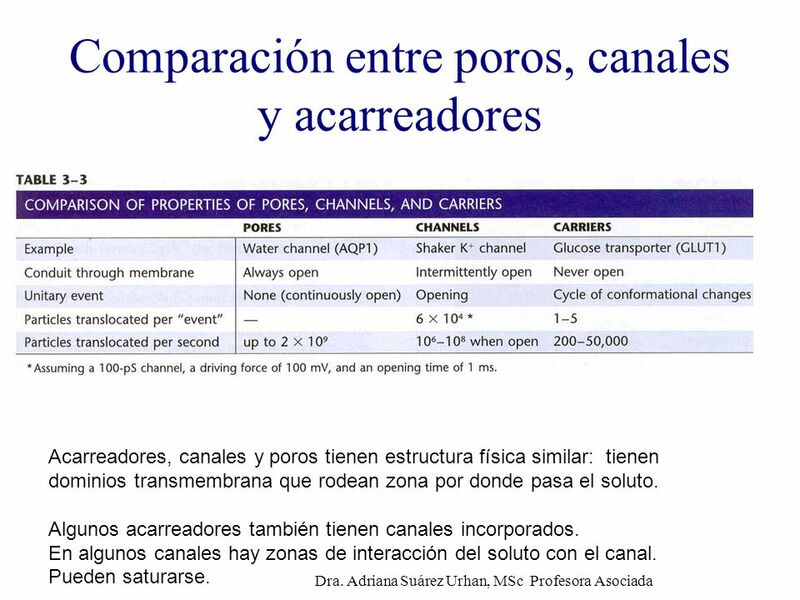 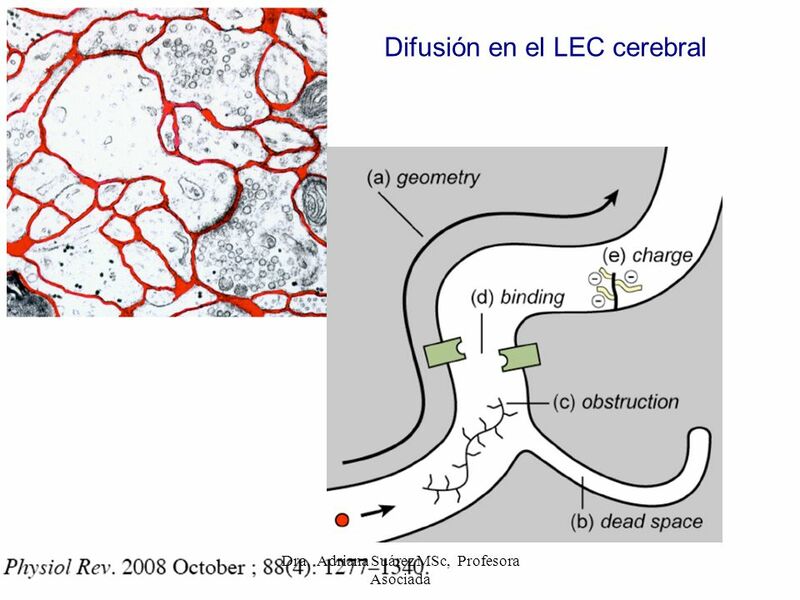 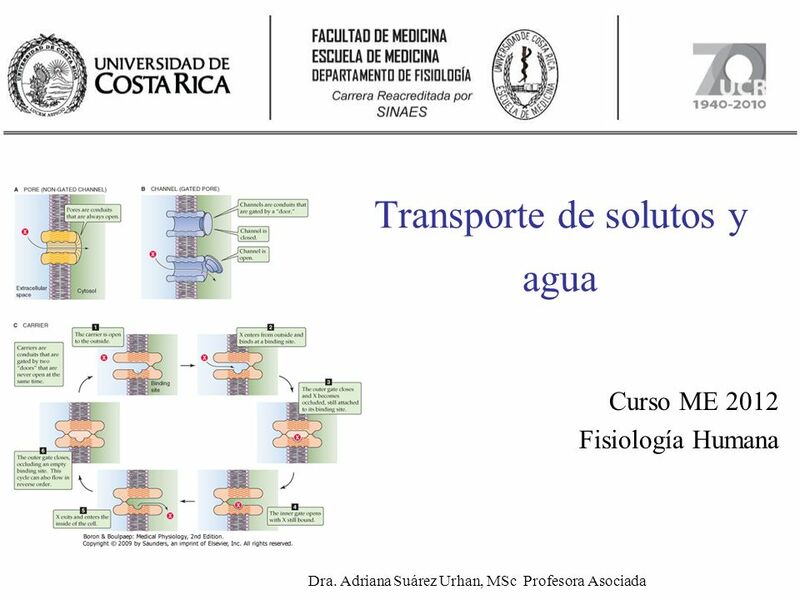 Adriana Suárez Urhan, MSc Profesora Asociada *Facilitated diffusion. 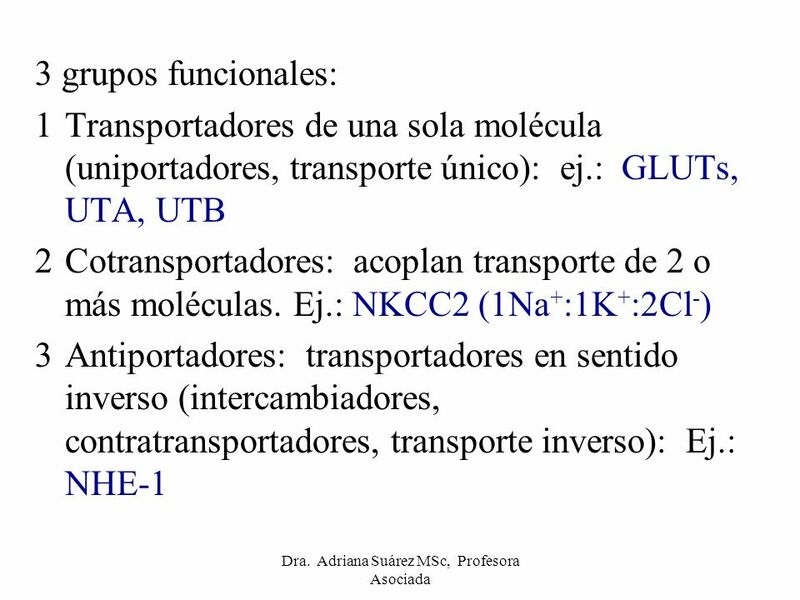 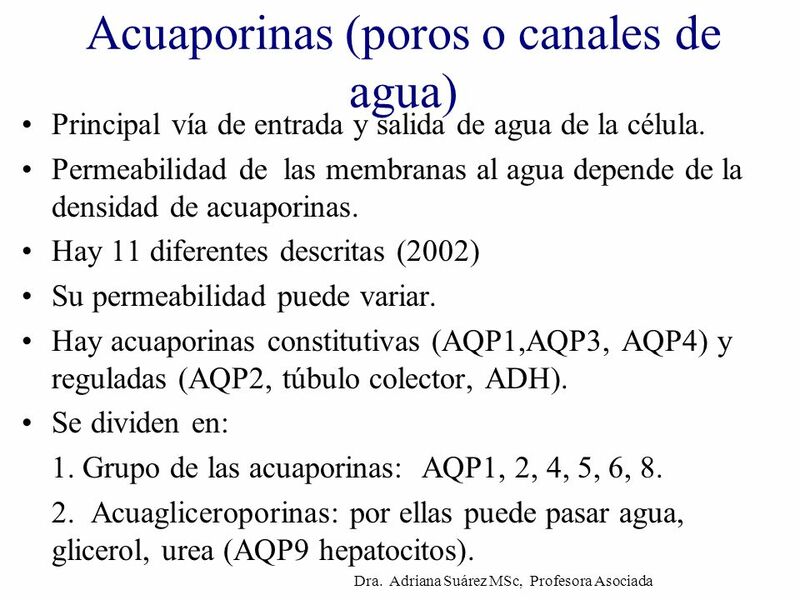 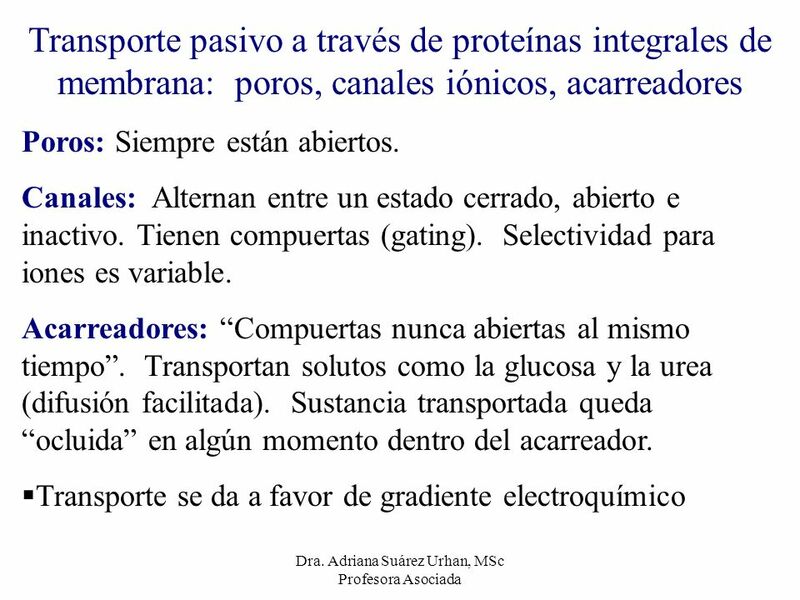 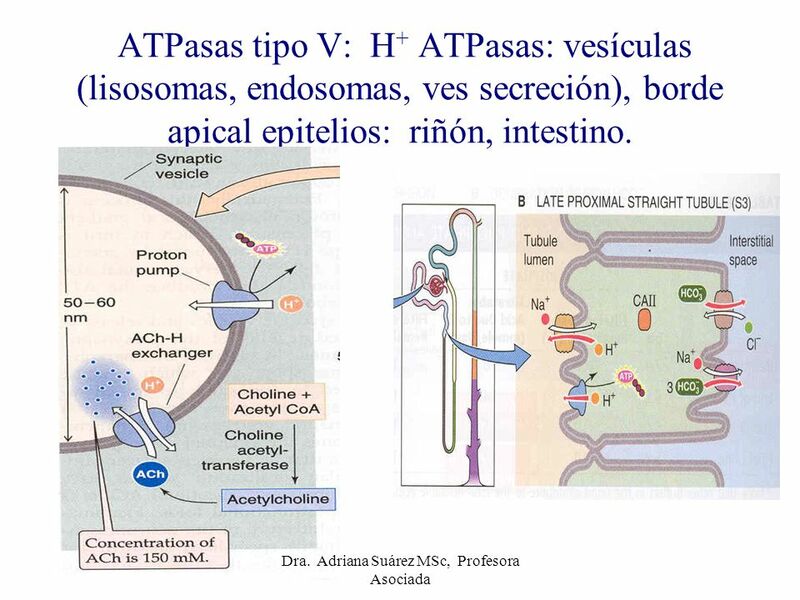 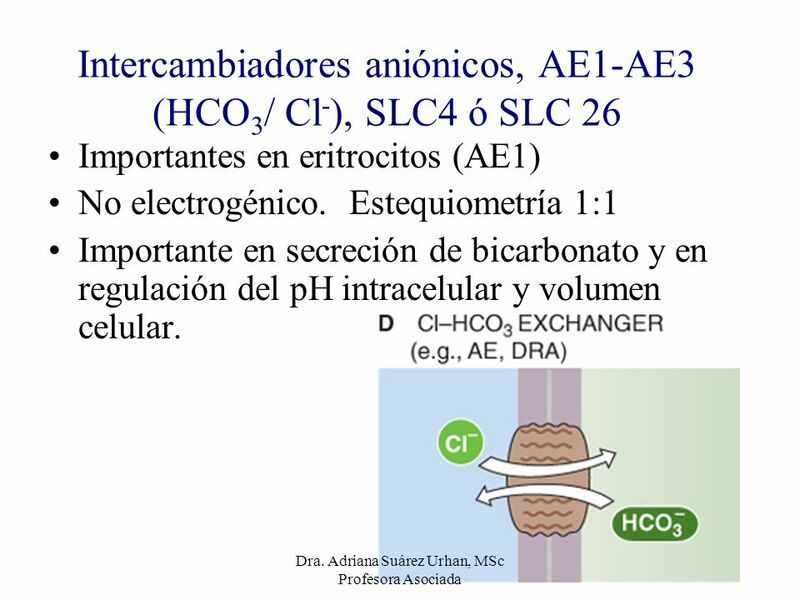 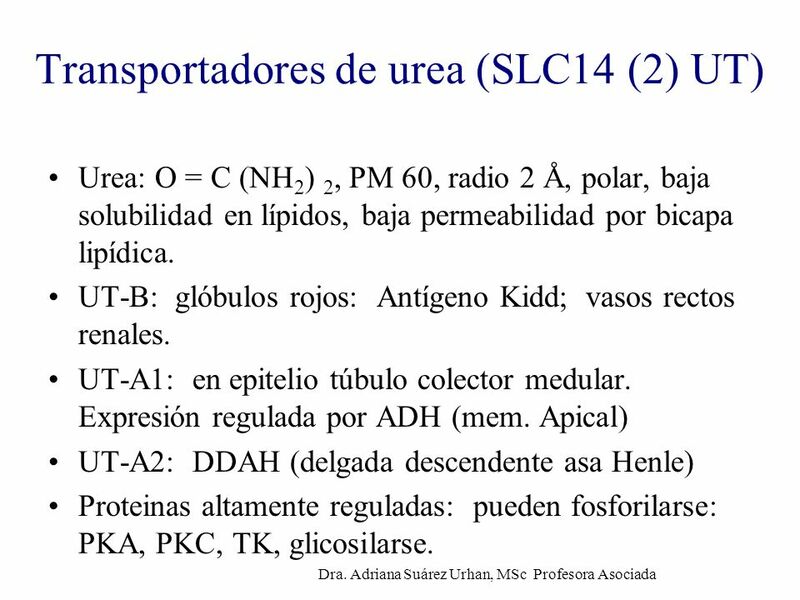 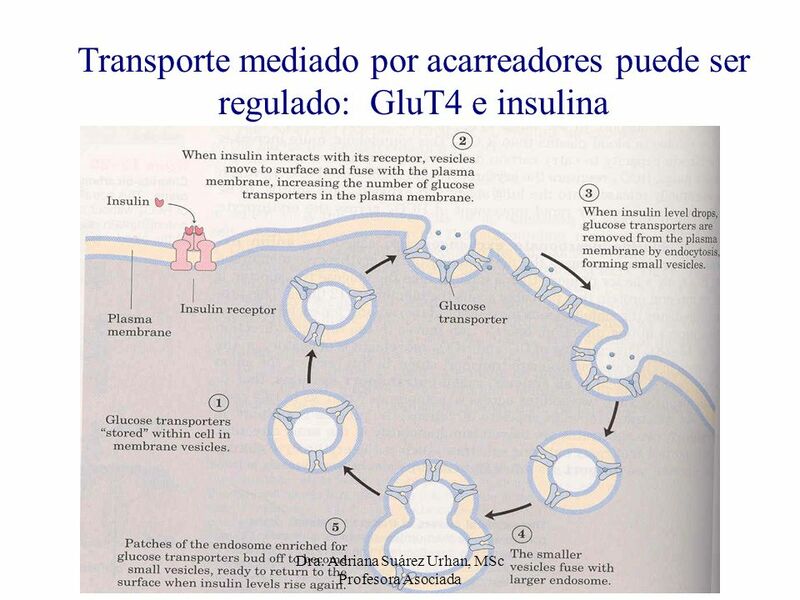 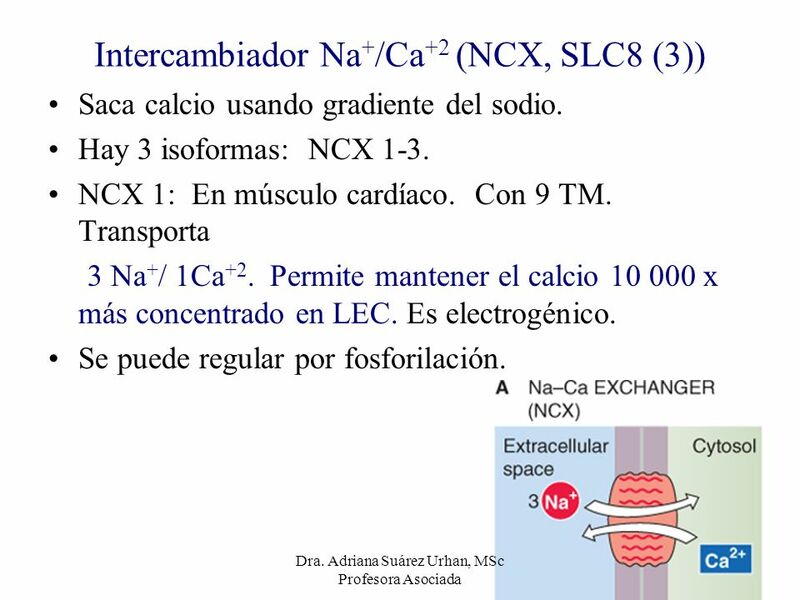 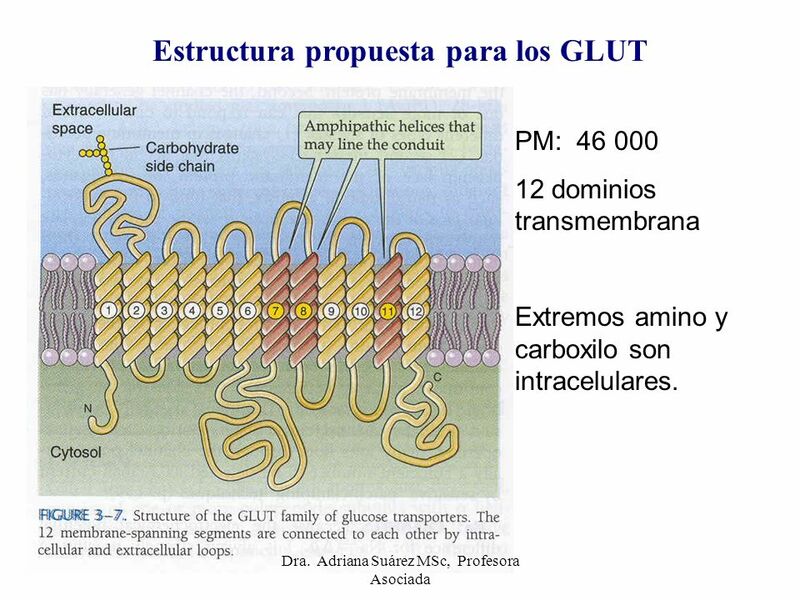 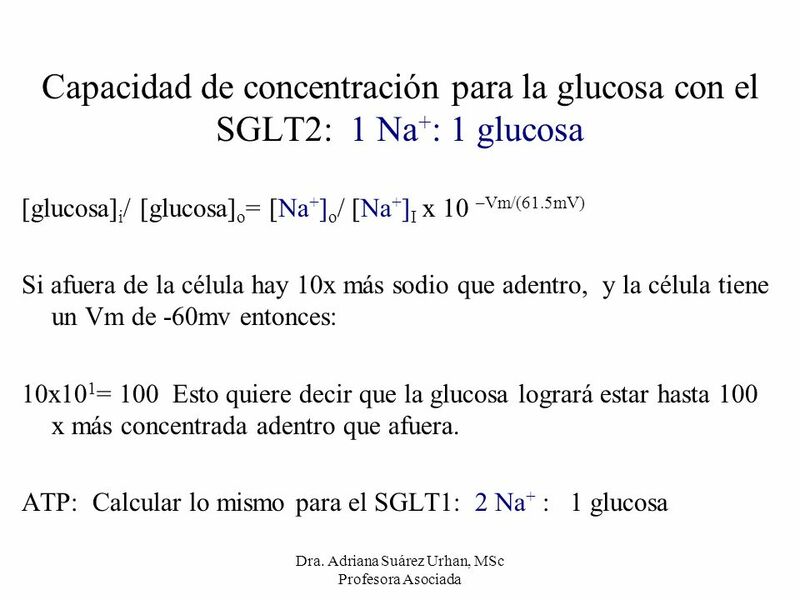 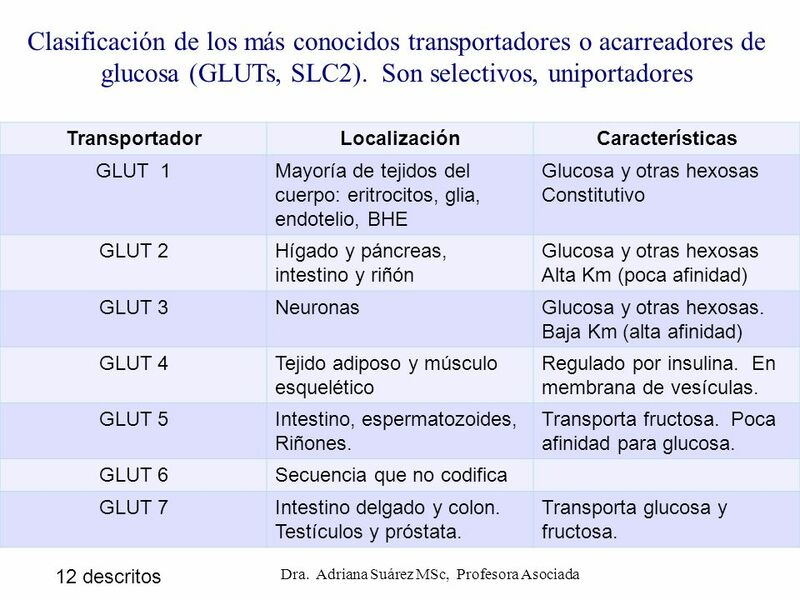 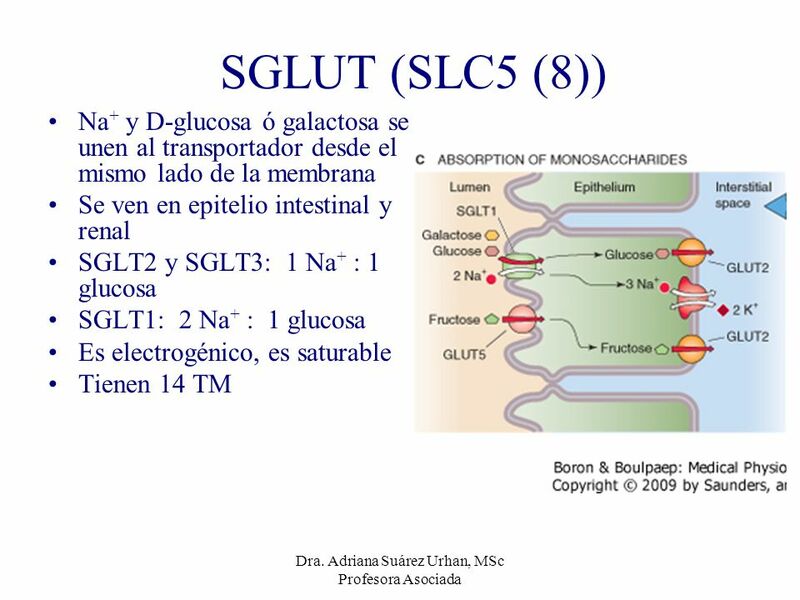 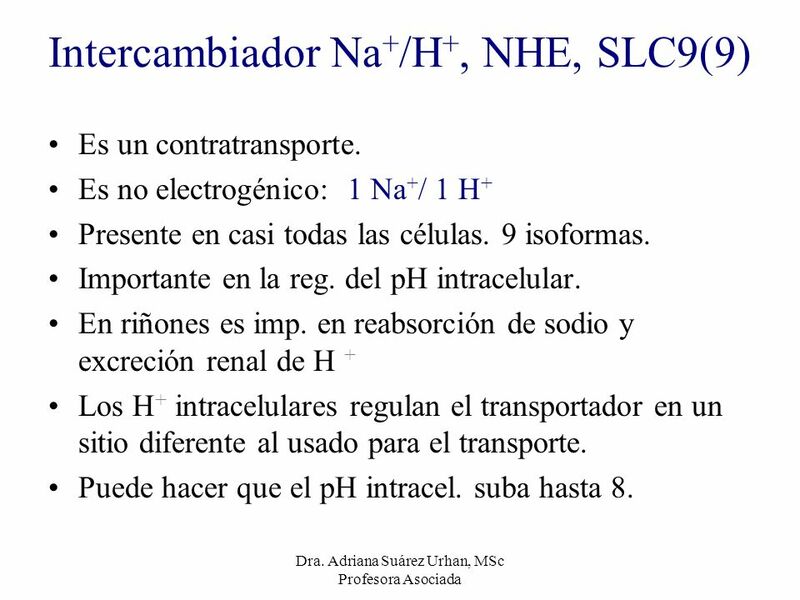 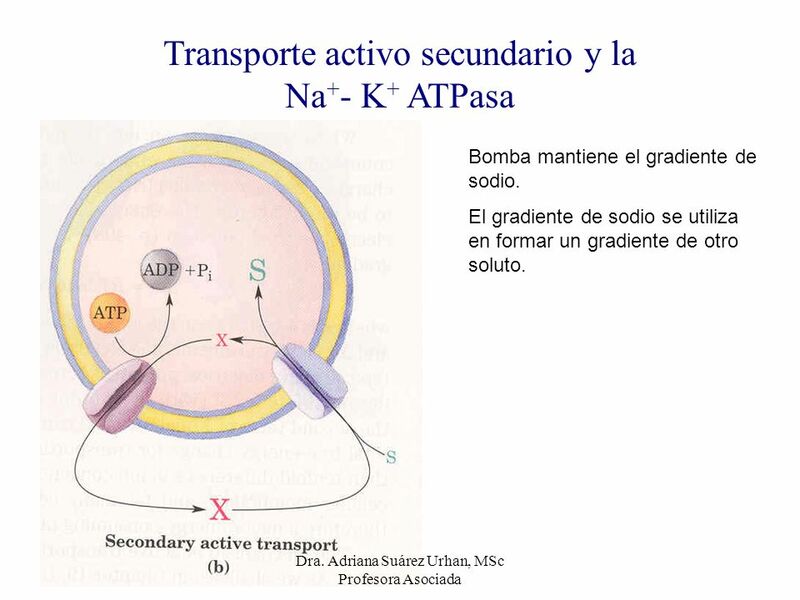 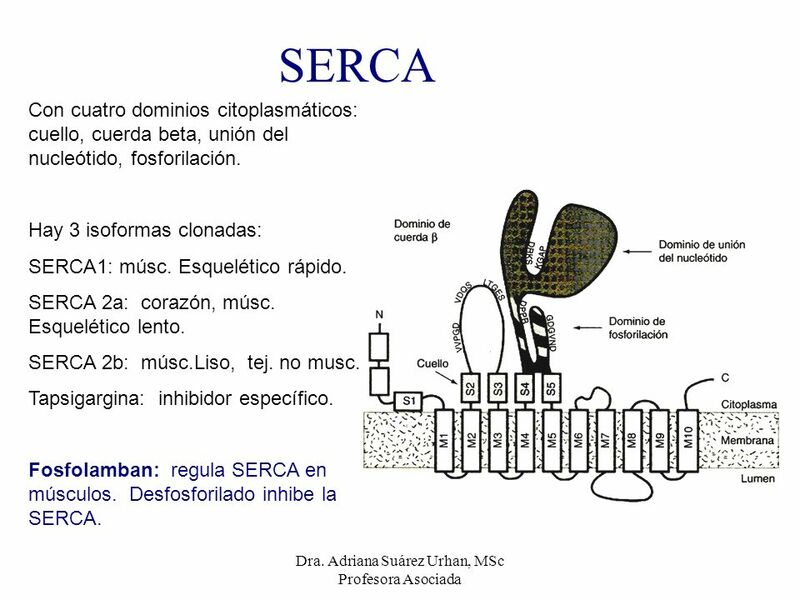 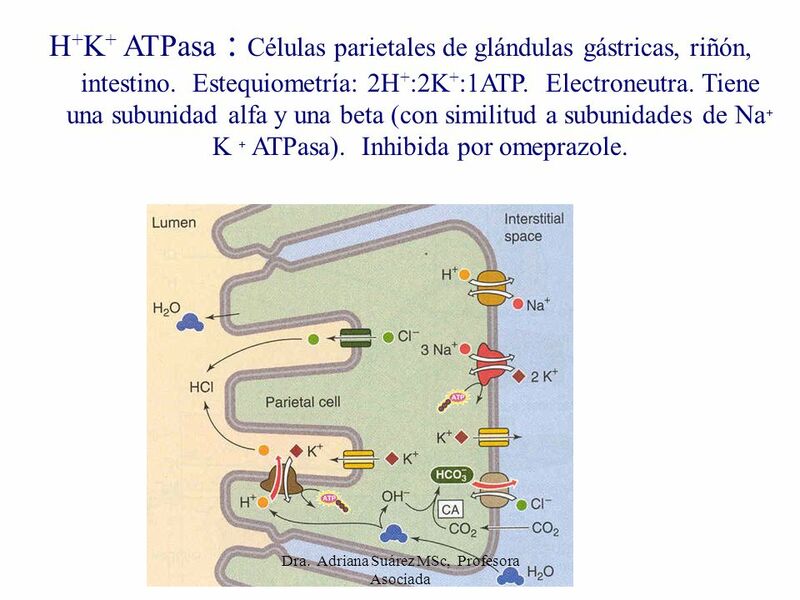 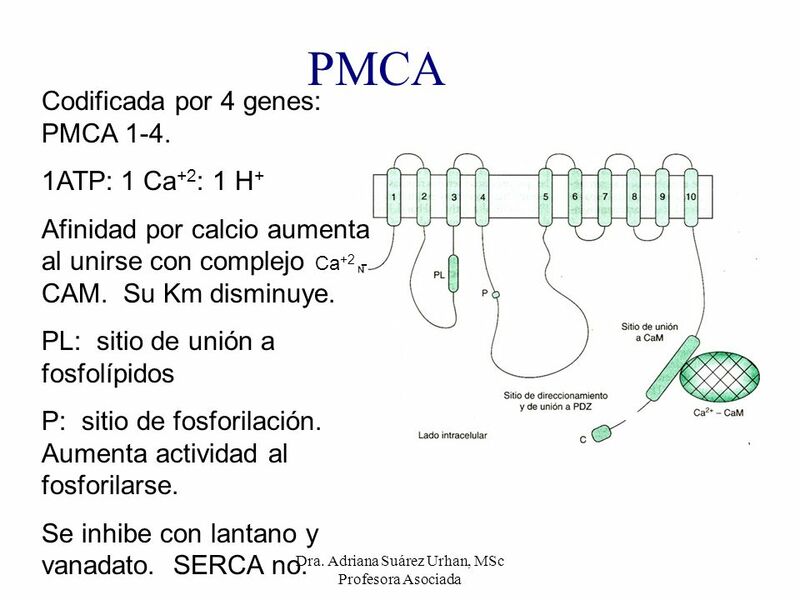 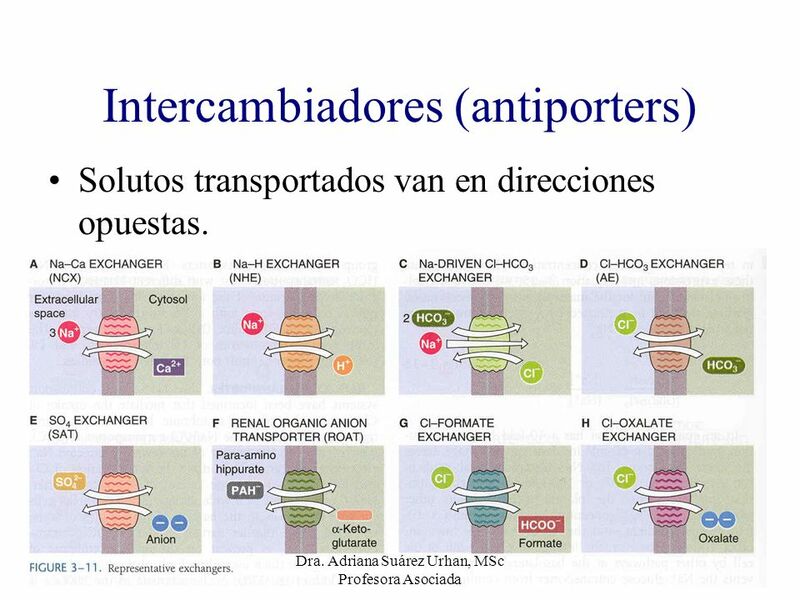 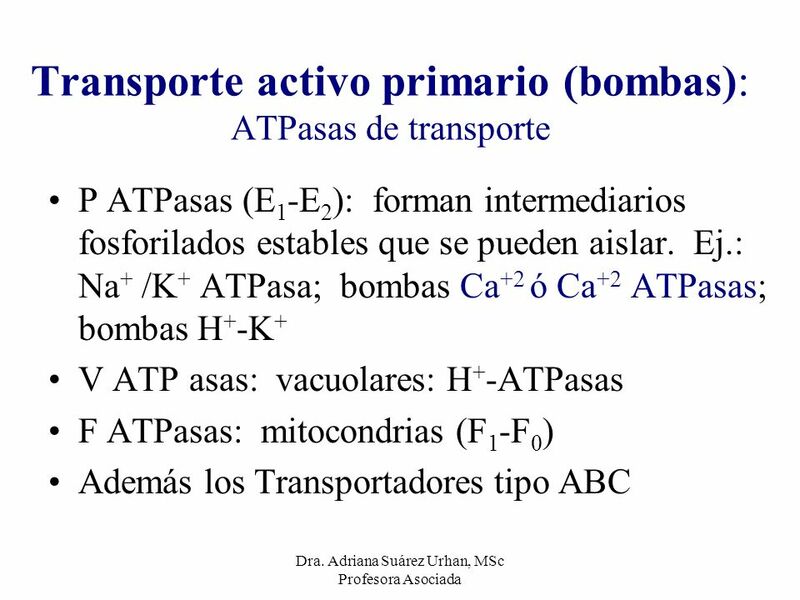 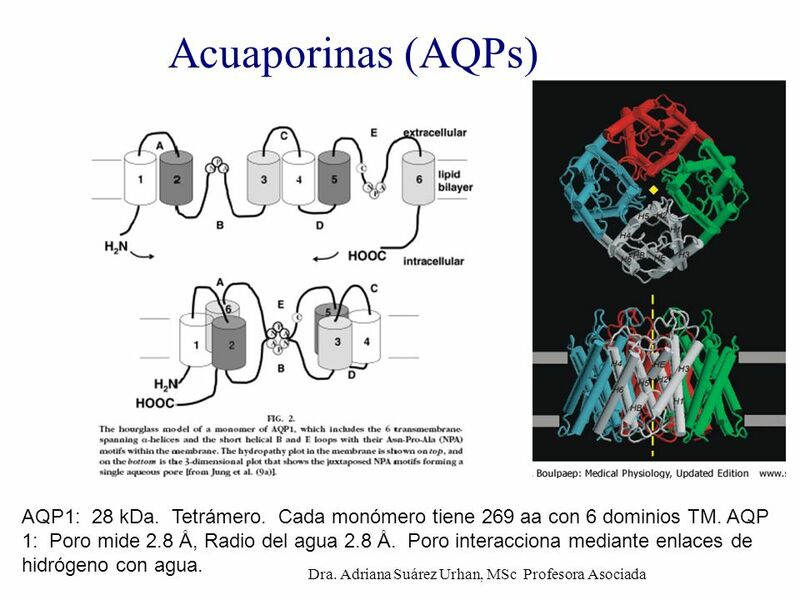 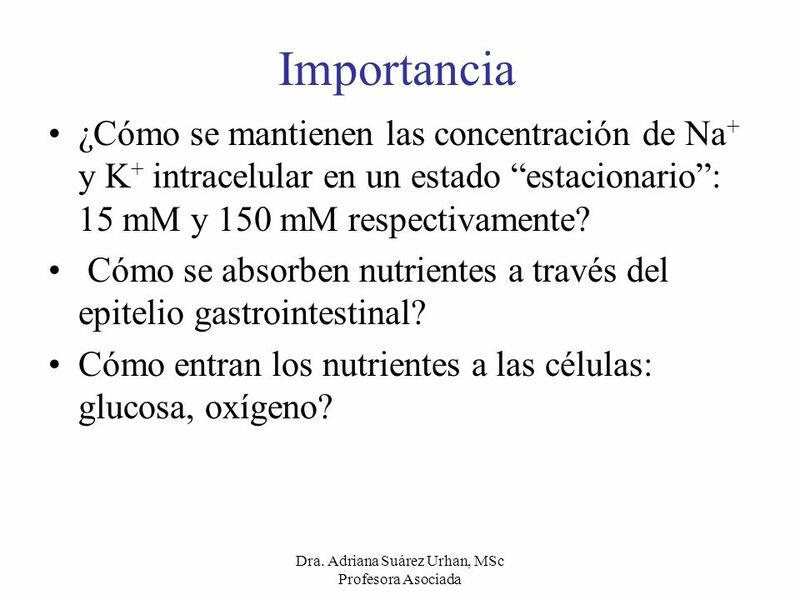 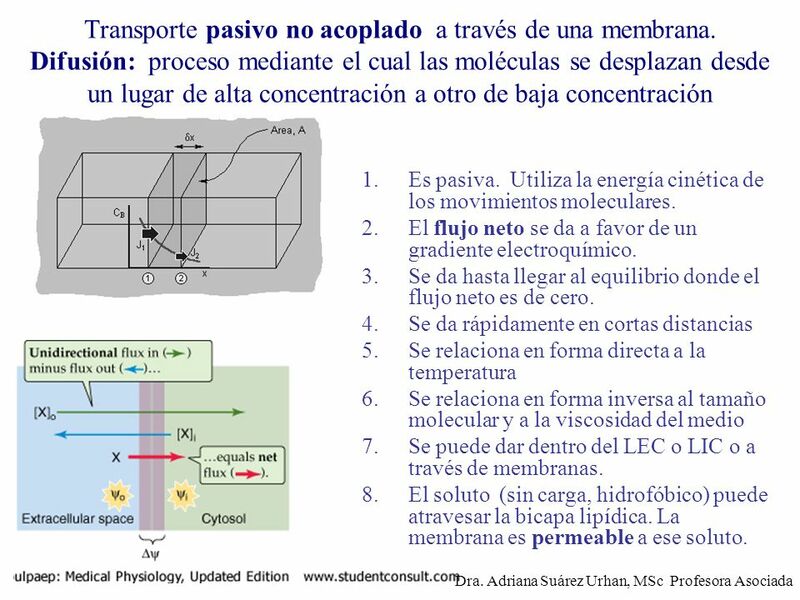 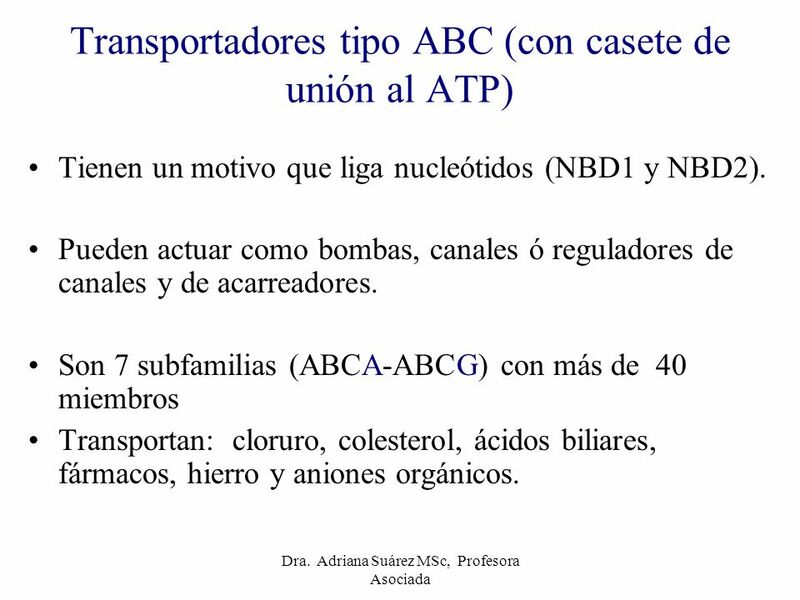 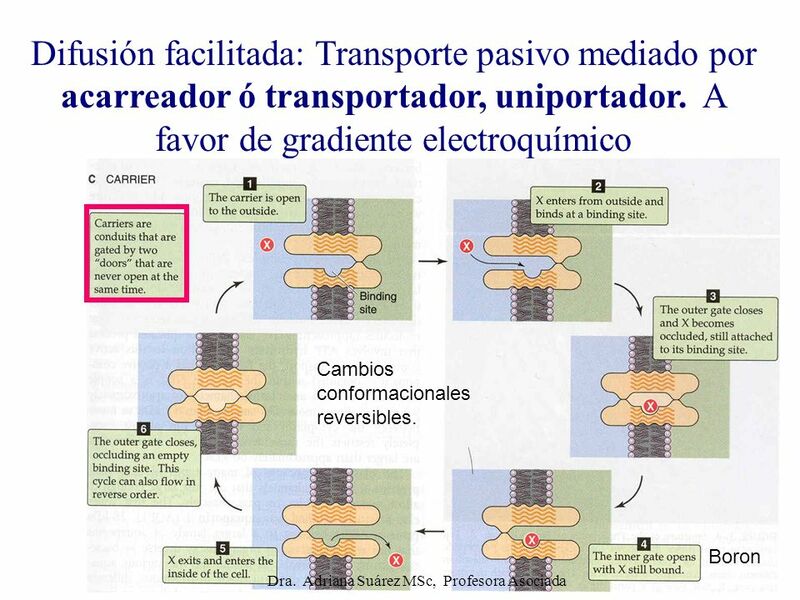 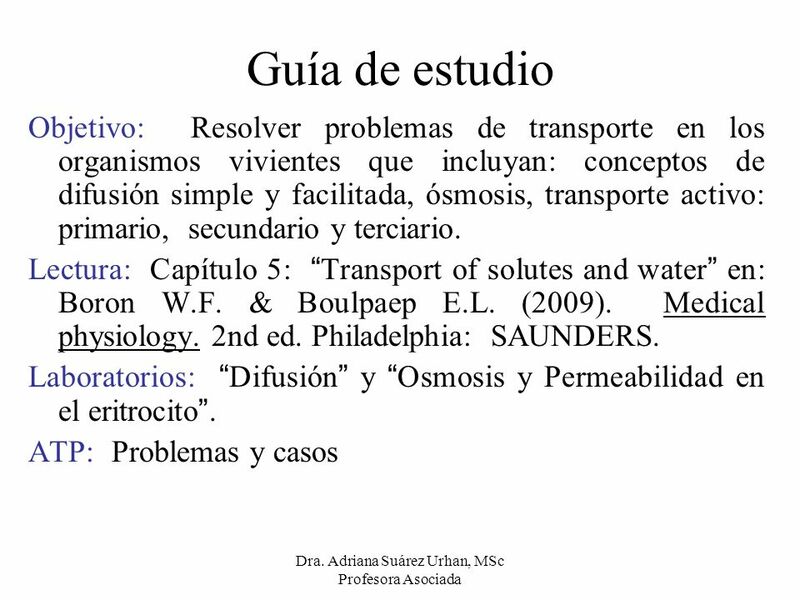 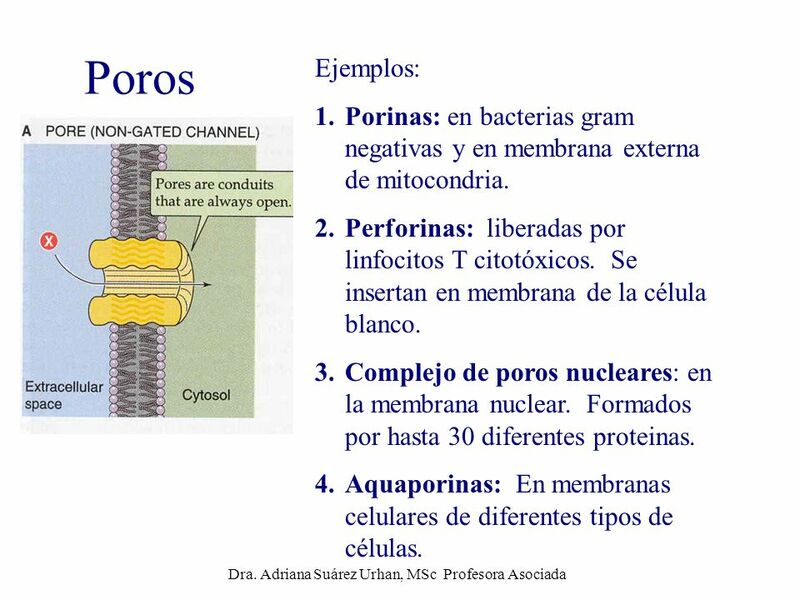 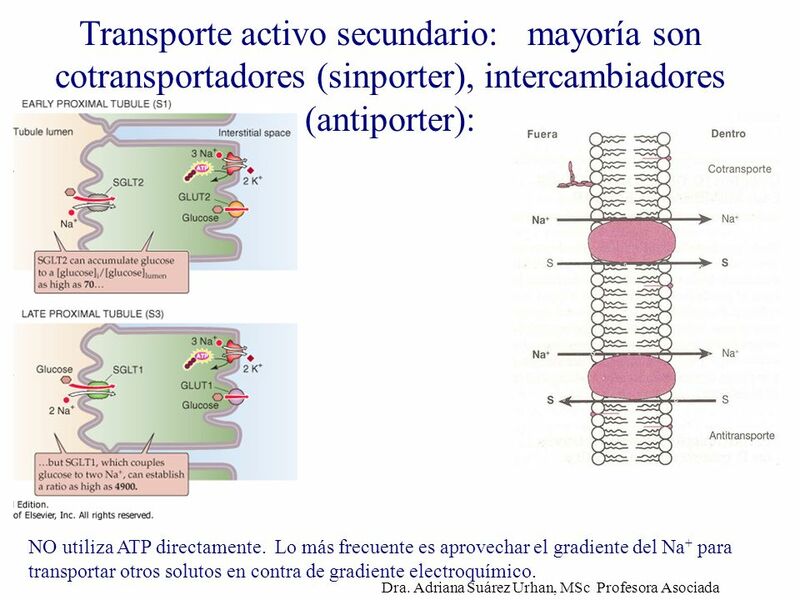 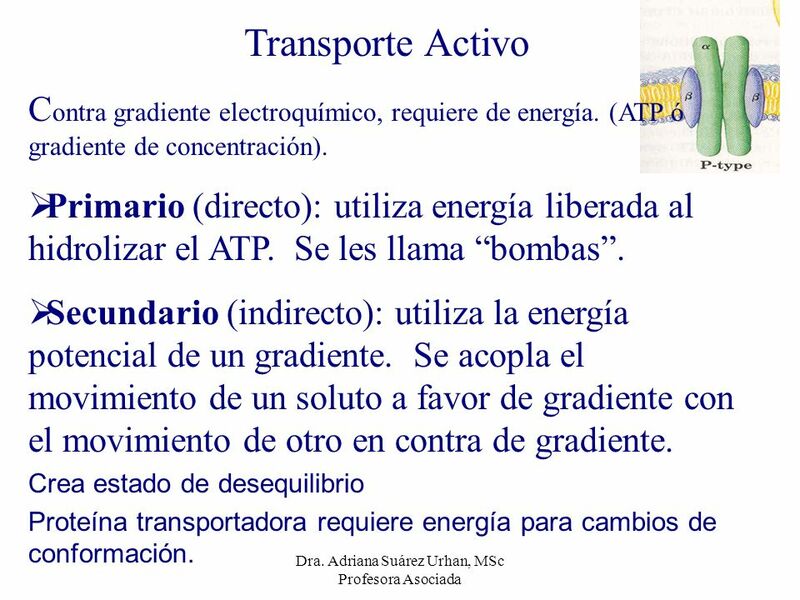 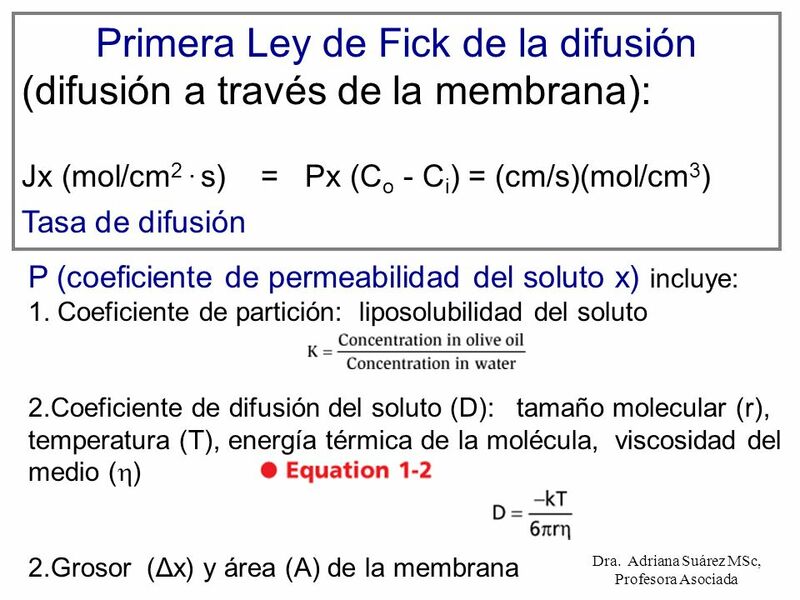 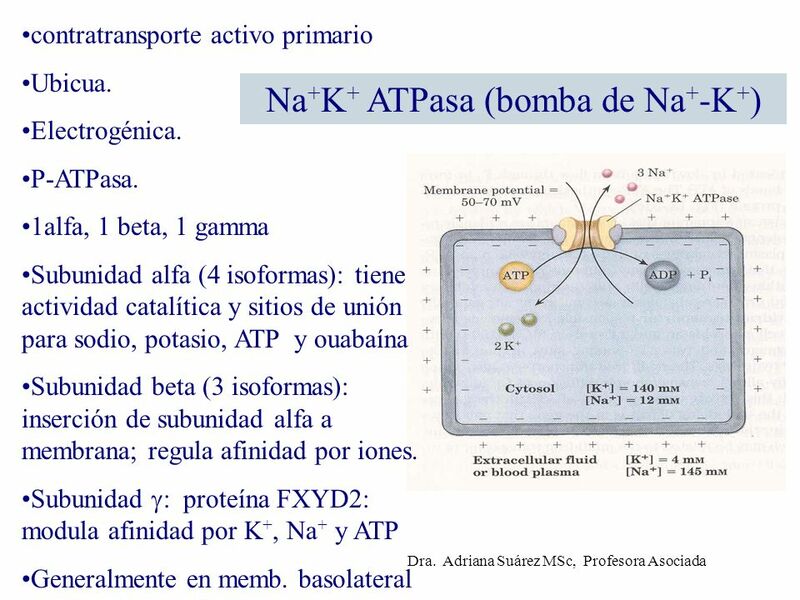 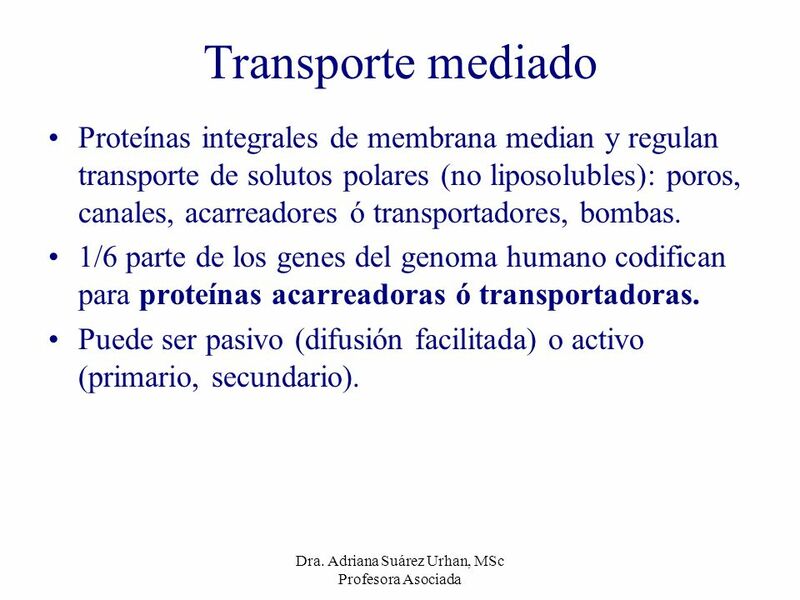 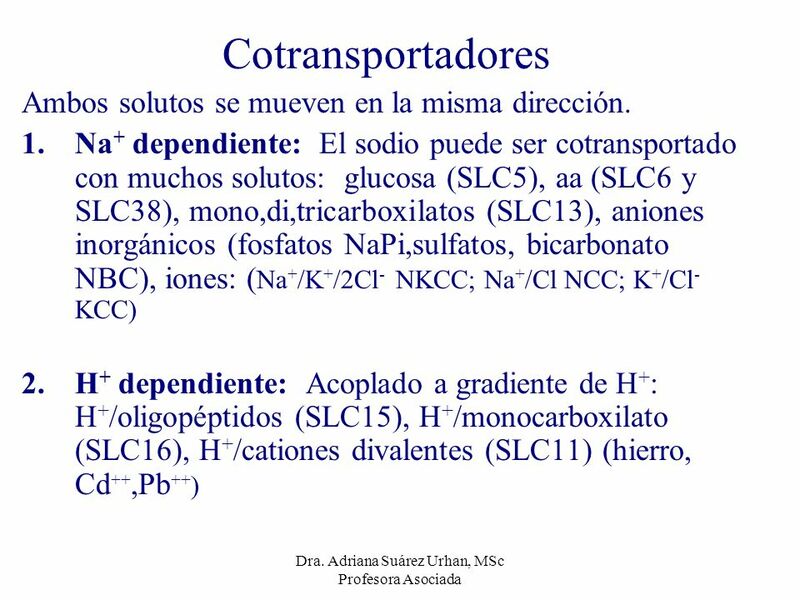 Descargar ppt "Transporte de solutos y agua"
MEMBRANA PLASMATICA ( membrana celular).